Dragon Noodle Co. & Sushi Bar recently celebrated its 20th anniversary at Monte Carlo Resort & Casino, serving classical Hong Kong-style Chinese food, sushi and noodles. It is located at the casino floor, but has a theme that transports you back to traditional Chinese time. You enter thru the lounge to your right is the drinks bar and to the left is the noodle bar. Walk inside and you’ll get to the dining room. For drinks, my favourites were The Volcano and Mango Dragon. The Volcano is really good to share among 2-4 people. It’s a very strong drink and what I like is they didn’t overpower the alcohol with a lot of liquids. It was very refreshing with the pineapple and orange juice without it being overly sweet. The Mango Dragon was a very uniquely refreshing drink! It has a spicy kick due to the Jalapeno but it worked with everything else that’s there. For food, my favourites were the Monte Carlo roll, sizzling pan fried noodle, Maine live lobster and matcha ice cream. 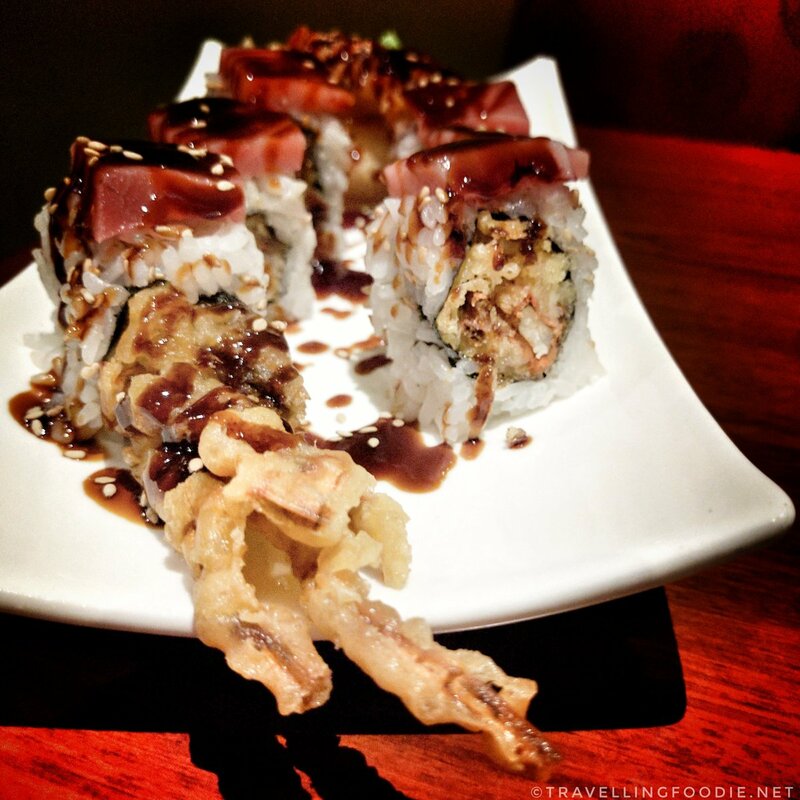 The Monte Carlo roll had good ratio of rice and crab. The softshell crab was big! The toro added a nice touch to the bite giving it that chewy fatty texture. 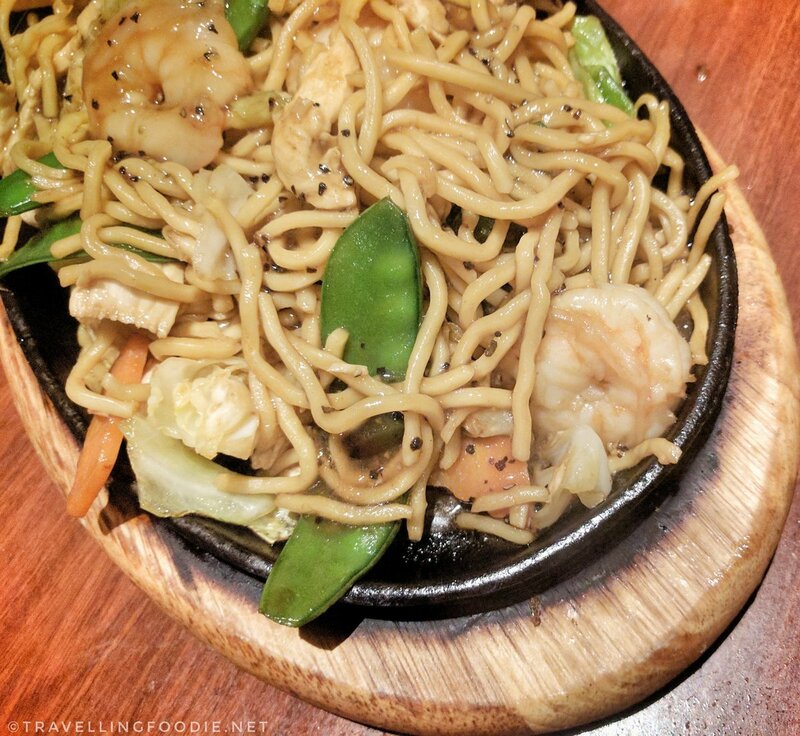 The sizzling pan fried noodle was presented nicely as it was put to the sizzling plate table-side. The noodles were aldente, and the black pepper garlic sauce was just right – not overly strong that you can’t eat too much. My most favourite was the Maine Live Lobster. The lobster was very fresh, meaty and sweet. 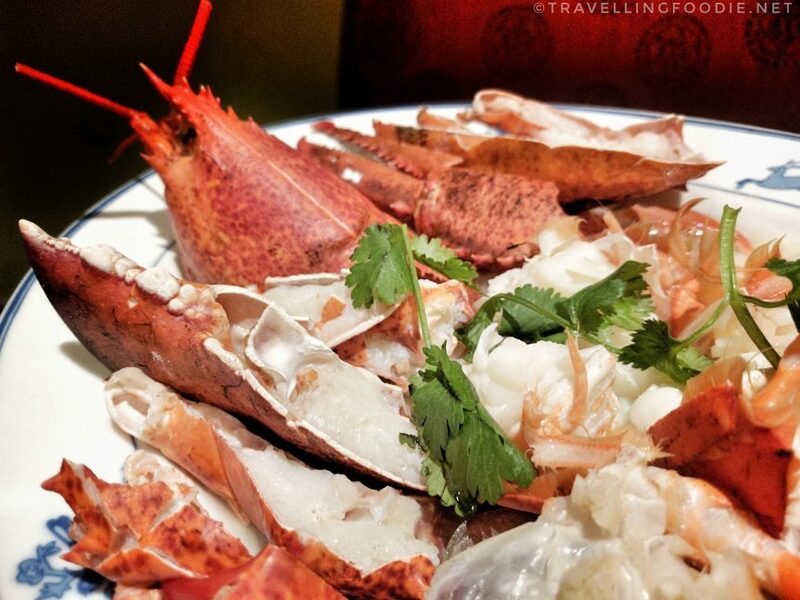 The butter sauce was so good in enhancing the lobster. The matcha ice cream had a strong matcha flavour and wasn’t too sweet. Their ice cream is made in-house and is sugar free which makes it even better. – Sizzling Pan Fried Noodle – $19.95 – Stir fried shrimp and chicken with sliced carrots, cabbage, snow peas and chow mein noodle in black pepper garlic sauce, served on a hot sizzling plate. – Scallops with Chef’s Special XO Sauce – $24.95 – Scallops stir fried with scallions, carrots, sliced ginger, and straw mushrooms in XO sauce. – Prime Sirloin with Black Pepper Sauce – $22.95 – Diced prime sirloin sautéed with onions, asparagus in black pepper sauce. Disclaimer: Although the food was complimentary, the opinions expressed here represent my own and not those of the companies. 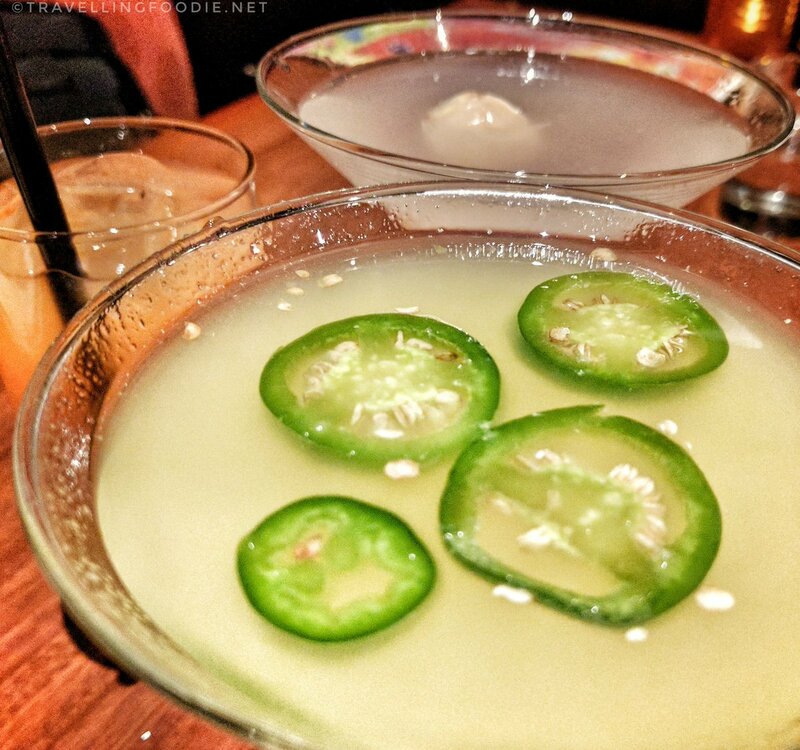 Posted on January 21, 2017 by Travelling FoodiePosted in Food, Las Vegas, Nevada, USATagged restaurants.